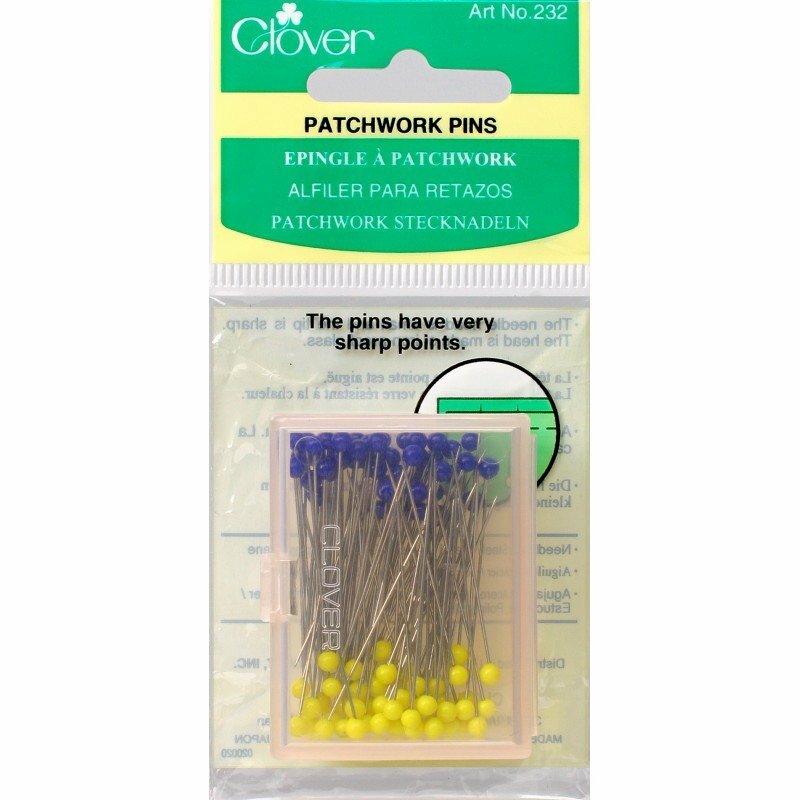 Patchwork Pins 50 x 36 mm. Notions > Patchwork Pins 50 x 36 mm. The needle head is small and the pins have very sharp points. Head is made of iron proof glass. 100 pins/case. Size: .50 x 36 mm.